100% pure Chupa Chups goodness. This completely solid strawberry sucker weighs in at a whopping 1.75 lbs (0.79 kg)! That's a whole lotta lollipop. 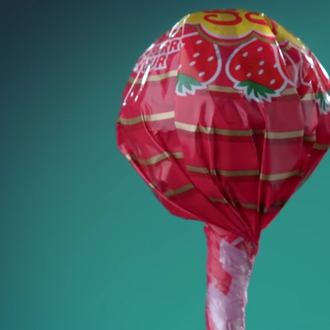 Actually, it's the world's largest solid Chupa Chups lollipop, to be exact. OMG exactly what I Ordered - my little girl was happy !!! AWESOME! Bought it for my grandson, he was so excited due to the size. Now I am going to get more for birthdays, etc. well worth the price!